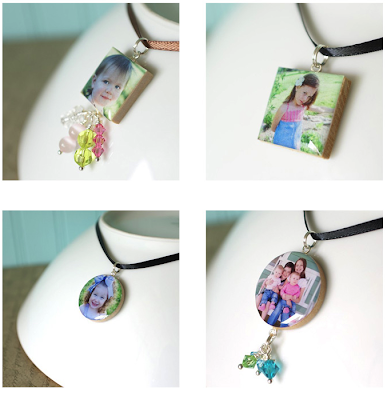 The Photo Pendant Necklace by My Little Chickadees. The perfect gift for grandma's or mom's. Wear your little ones close to your heart. Choose the bling or leave it off for a simpler style. Each pendant is made on a 1"x1" wooden tile and sealed with a glossy sealant. The winner will LOVE this one, and shoot, get the bid up to $60 and you can have the sterling ball chain, too! !